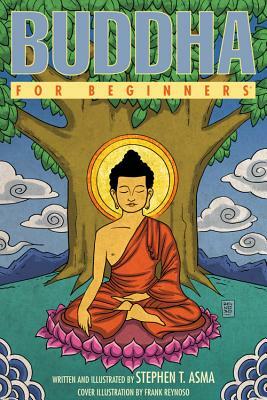 A review of Buddha for Beginners by Steven T. Asma. Say “Buddhism,” and the free-association machine will gin up everything from the Dalai Lama, self-immolating monks, and robed meditators to Zen and the Art of Motorcycle Maintenance, Kung Fu movies, and that chubby laugher with no hair. Or, perhaps, “Buddhism” will simply considered as yet another category among the world’s major religions, like Christianity, Judaism, Islam, Hinduism. But just as Christianity can’t be simply reduced to affectionate pastiche (hello, buddy Jesus! ), and sweeping pop-culture generalizations – or treated as a categorical, conceptually-unified block – Buddhism is an umbrella spanning a rich diversity of ideas and practices flourishing in 2,500 years of history.